Click on a link in the Recent Connections list. 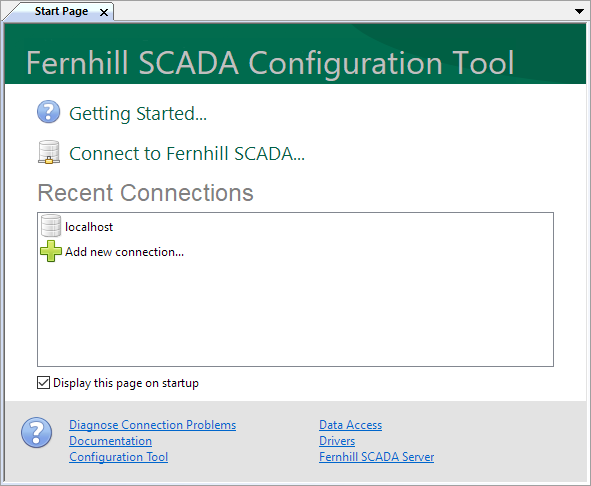 Click on Connect to Fernhill SCADA. This method allows you to enter new connection details. Enter the name of the computer running Fernhill SCADA. 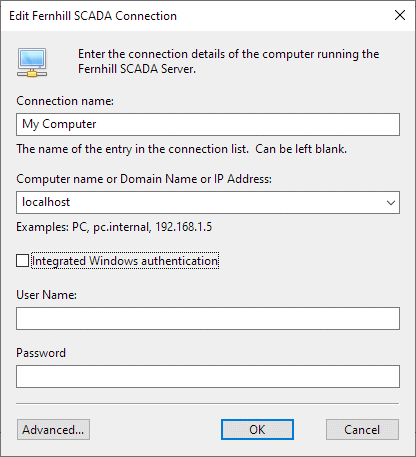 Enter a the User Name and Password of an account on the computer running Fernhill SCADA. Each successful connection is added to the Recent Connections list. Right click on a connection. Forget Connection - to remove the connection from the list. Edit... - to edit the connection. To learn about other features of the Configuration Tool. For an overview of the Fernhill SCADA product suite. 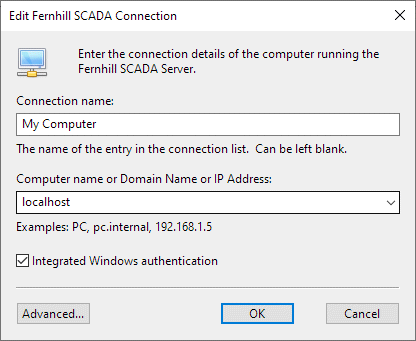 For information on the runtime components of the Fernhill SCADA Server.